To celebrate the end of my infection - which rendered me hors de combat for two whole months - here is a makeup giveaway, open worldwide, that will run through the whole of March. There will be two winners. The first prize is makeup essentials and the second prize is a mix of beauty products. More pictures in a minute. I also have the results of my third blogiversary giveaway for you further below. 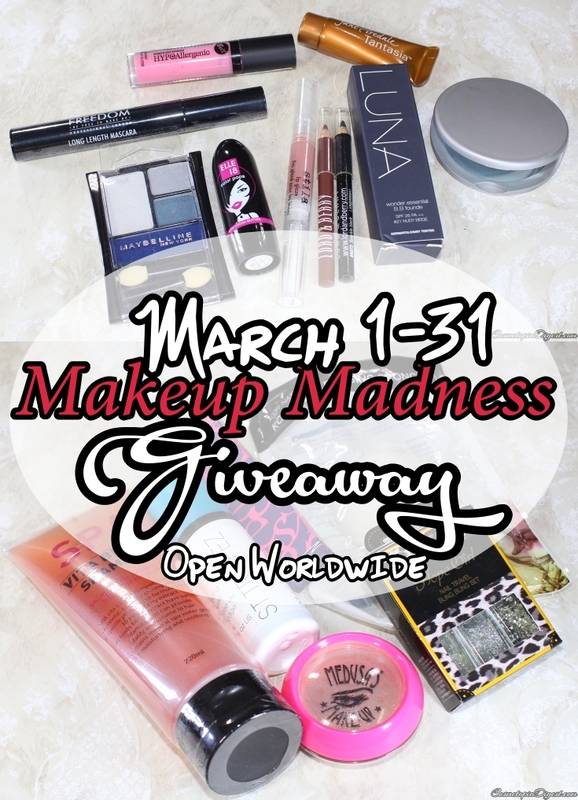 Scroll down to enter the March Makeup and Beauty Giveaway. The giveaway ends on 31 March 2016. I will announce the winners once I verify the entries (which could take up to a week depending on my schedule in April and the number of entries), and get in touch with them. If I do not hear back in 48 hours, I will choose another winner. I will be sending your prizes tracked within a week of receiving your details. That's it for now. Stay tuned for exciting times as I get back to makeup and blogging after recovering from a nasty infection.